I have a Commodore 64 in for repair at the moment that is showing some intermittent memory faults. For once, it doesn't seem to be the PLA. 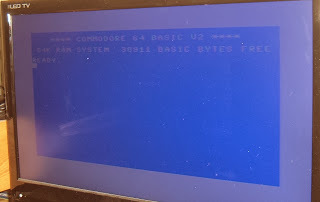 The same fault has been seen with a working PLA and the PLA from this unit working fine in a test C64 board. There is evidence of a historic memory repair. 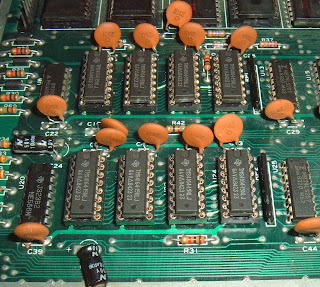 Some time in the past it looks like 4 of the DRAM chips were replaced. In the process, a couple of tracks must have been lifted as there were a few wire mods on the back of the board. 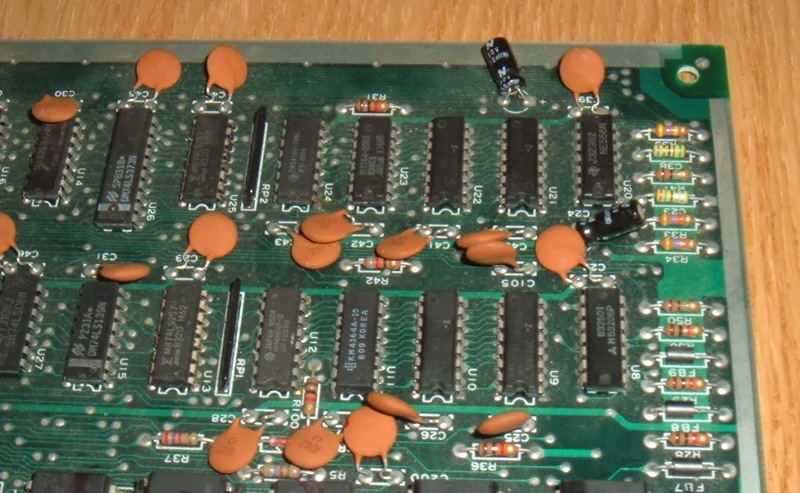 Looking at the replacement chips, all four of them are different makes and part numbers, and are different again from the four remaining original chips! 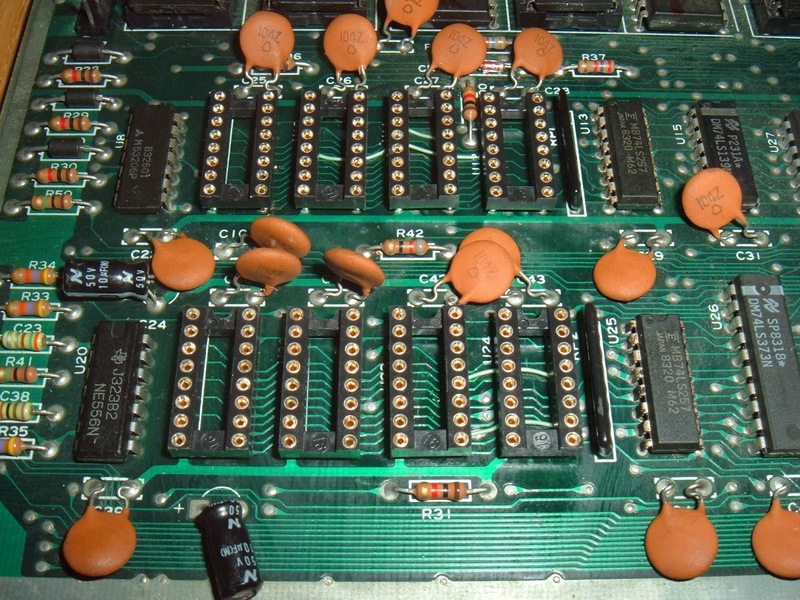 The data code of the original chips and the rest of the board is 1983, the new ones look to be around 1986. I don't know if they were done one at a time, or if the repairer couldn't find two the same. 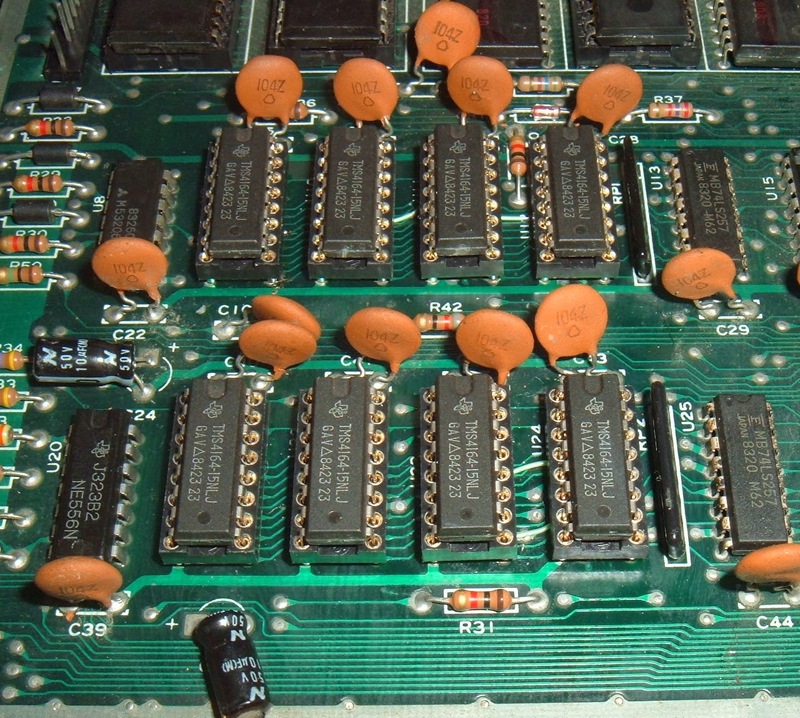 The way these are used is that each of the eight 4164 chips is 64K by 1 bit, which together make the 64K by 8 bits required. The originals were NEC D4616C-2, and the replacements were a KM4164A-15, a TMS4164-15NL, a Hitachi HM4864P-2, and an OKI M3764-20RS. All 5 parts are compatible with the standard 4164 part, but their timings are different. I always try to match the part number, manufacturer and if possible the date code, so that they perform the same so there are no timing glitches caused if one chip is marginal faster or slower than another. 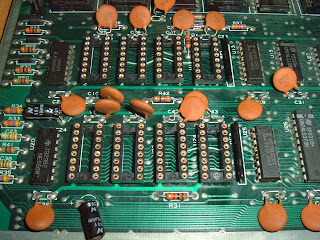 In order to test this further, I removed all the chips and replaced them with sockets, repairing the previously damaged tracks. 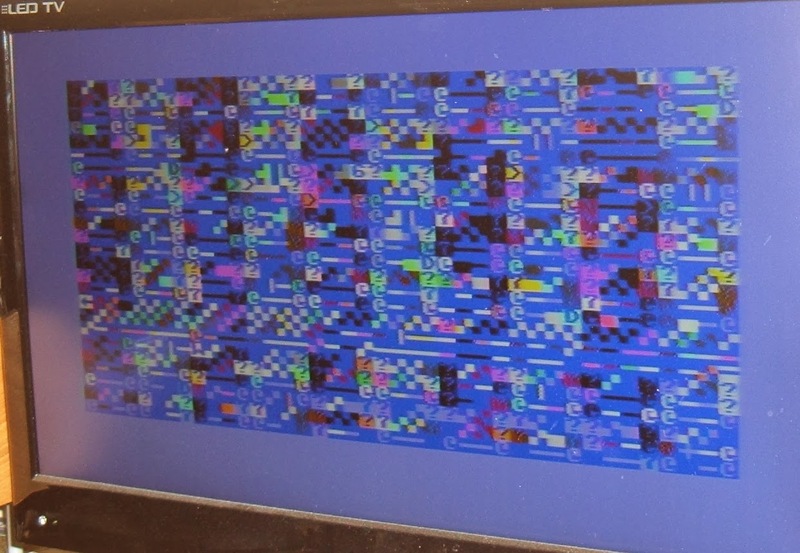 I then installed a matched set of working 4164 chips (TMS4164-15NJ) and away we go, the Commodore 64 is working again. 38911 bytes free as their should be. 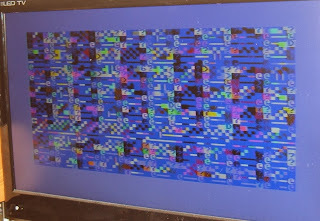 The chips I removed have all separately tested as working, I think it was just a slight difference in timing or a bad connection on one of the repaired tracks. 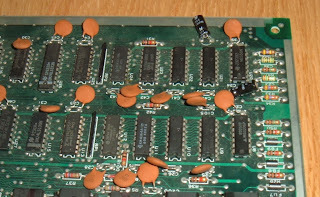 The assortment of chips will be useful to keep though, to add to my collection of assorted DRAM chips used to find matching replacement chips for future repairs.